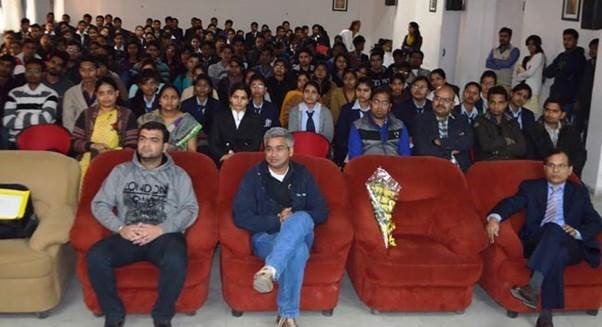 On 1st February 2014 I had an opportunity to present on Cross Platform Mobile Application Development to developers and students of royal city Udaipur. Udaipur is historical city of India and 700 km South West of Delhi. It is not a favourite software destination and get very few events on App development etc. So I saw this an opportunity to create awareness among developers and student of this city and get to connect with them in person. 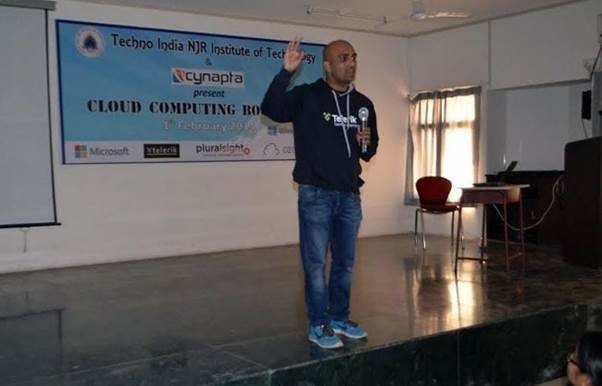 I sincerely thank Gaurav Mantri , entrepreneur and Windows Azure MVP from Udaipur to suggest me as speaker and special thanks to Piyush Javeria HOD of Techno India NJR Computer Science department. Last but not least thank to Shakti Singh for great hospitality. It was a full day event packed with 150+ students and developers. First half of the day was based on cloud and Windows Azure. It was presented by Gaurav Mantri. He made buzz word Cloud a simple technology to understand for audience. There were astronomical questions during the session and a satisfactory smile was on all faces after the session. I never thought someone can make Cloud and Windows Azure this much easy to understand in mere 3 hours. Great work done by Gaurav Mantri. Second half was assigned to me. In this session I tried to motivate audience to DISCOVER BEST IN YOU. I started with normal talk for 30 minutes and then talked about Cross Platform App Development. So my session was divided in two parts. First part I did a motivation kind of talk. We talk about 45 minutes how to bring best of ourselves. There were jokes, motivational stories etc in first half. Second part was focused on technical talk. I covered how to create Cross Platform Apps using Telerik App Builder and HTML 5. Last but not least a special thanks to motivated, self-driven and highly energetic audience. I had fun time presenting here. I hope some of attendees are motivated to create Cross Platform Apps or explore Windows Azure further. Once again special thanks to Techno NGR Knowledge Campus and its director Mr Vyas. I would conclude by saying great work by Piyush HOD of CS department and team. Gaurav Mantri thanks for facilitating this event. 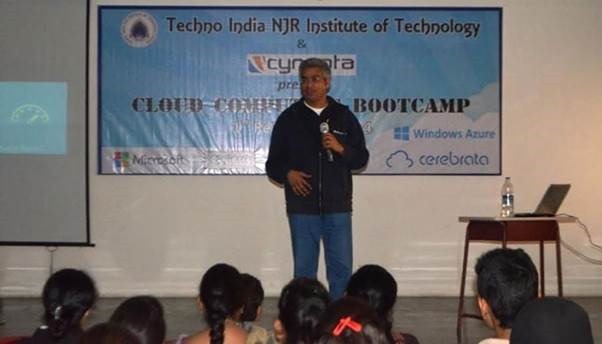 I hope I was useful to students and developers of Udaipur. Looking forward for another event and speaking there. Thanks!